You are here: Home › Blog › Already half way through January! 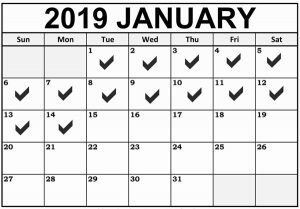 So, we got through 2018 – we’re already half way through January 2019 – what have we done to change the way we think or do things? Well, so far, not much. The New Year started with the inevitable colds, coughs and after we all discussed our celebrations it was back to the norm. But should that be the case – no – it’s time to plan the year, learn from the past, head to the future, make some changes. Take a step back and have a long hard look at what you do, how you do it and how it could be done better, faster, more efficiently or even more enjoyably. Look at what the company has achieved in the last year and discuss what aspirations you all have for the coming year. Make friends, mix with like minded people, take time out to unwind but perhaps do it learning from other engineers/colleagues or even competitors. Just spending time researching an interesting topic can help with either relaxation or even planning a new project or re-kindling an old one. Yes, everyone says it but do we all do it? Clear out physical and mental clutter with the same rules and gusto. Clear distractions to improve overall working efficiency. Do filing!!! Yes, we all hate it but how much quicker we can work if we can find what we need !! Anything !!! When you always ask someone to do something (because you don’t know how to do it yourself) – learn how to do it. What about investing in some new software and learning how to use it to your advantage. This could be the year !! Do you always do things in the office the same way – are there better ways. Could inventing an online form or template help with administration, speeding up a process and bringing everyone into line using the same routines? Some simple changes can drastically improve productivity. If a member of staff has a certain skill ensure the workflow utilises this skill – don’t expect others to struggle with something that one person can do in the blink of an eye, use staff/skills better!! Not easy sometimes but again, as with diets and exercise, small changes can bring big improvements, encourage coffee break activity/chat, etc., in larger organisations a newsletter or interactive activity can be beneficial, a quiz, a competition. Just the act of chatting around the kettle can improve workers feelings about the company and ideas can be dropped into conversation without formal meetings and thoughts can be gathered. Find out what the workers expect from the coming year too. With staff, with competitors, with suppliers, with social media, get yourself out there ! !